Juneau’s historic Alaskan Hotel has a reputation of being haunted. One sailor decided to seek out the ghosts. It doesn’t end well. Bettye Adams has owned the Alaskan Hotel for more than 40 years. When I ask her to show me Room 315, she isn’t thrilled. “I just – it’s creepy. You know, I’ve never seen anything but I feel things,” Adams said. 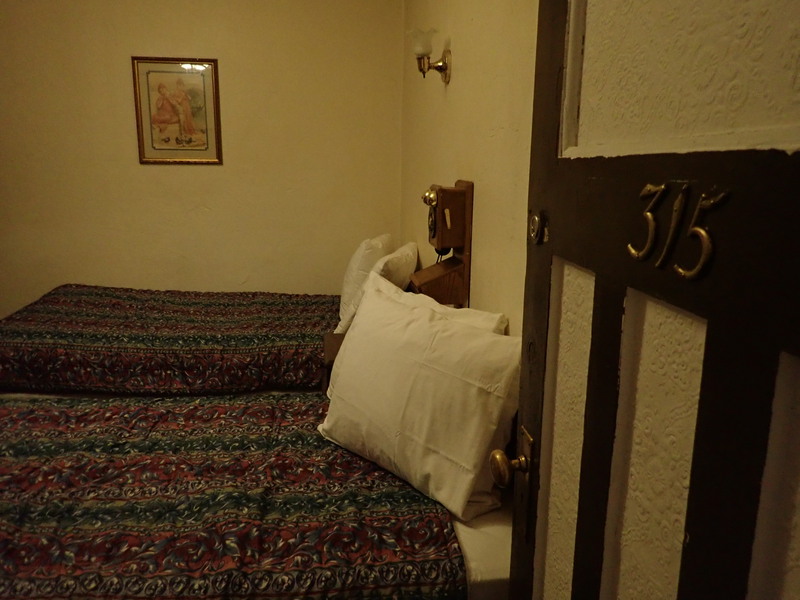 Room 315 has two spartan-looking single beds with floral linen. There’s a painting of two women from the early century. I can’t be sure, but they appear to be working girls. And a replica antique phone hangs on the wall. There aren’t many clues that you’re still in the 21st century. Now that we’re standing in Room 315, Adams is telling me this room isn’t unique. But then Adams proceeds to tell me a disturbing story about Room 315. It was May 19, 2007. A guided missile cruiser, the USS Bunker Hill was in port but was due to leave the next day. 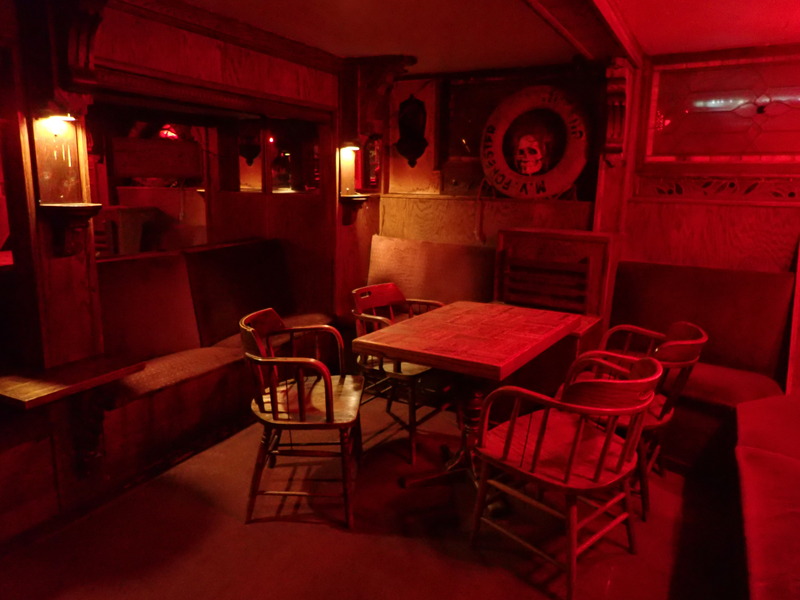 “And one of the sailors on it just emailed us and said he wanted the ‘haunted room’ and we were like ‘whatever… and put him here,” Adams said. Juneau police officer Chris Gifford recalls getting a call about a disturbance at the Alaskan. “There was a Navy ship in. There was a lot of people downtown that probably hadn’t been off the boat for a long time,” Gifford said. Gifford switched on his recorder as he and his partner arrived at the hotel at about a quarter to twelve. The door to Room 315 was locked. “We’re still knocking on the door and a guy comes up and kind of whispers to me , ‘Hey I think your guy just jumped out the window,'” Gifford said. 22-year-old Americorps volunteer Jill Weitz was staying in a room below. “His body hitting the window and shattering the glass into our rooms and then proceeding to fall down downward was mind-bending to say the least,” Weitz said. The police officers broke down the door. Gifford said they didn’t know what to think – except that someone was badly hurt down below. Incredibly, the young sailor was able to walk and made it to the street. The man was medevaced out of Juneau and survived his injuries. “It’s with employees that it’s a real problem and they quit and go away,” Adams said. But not everyone who works there. There have been a lot written about the Alaskan Hotel. Juneau writer Bjorn Dihle wrote Haunted Inside Passage last year which relates a version of this episode. This horror story could’ve ended tragically. But is it a ghost story? The only one who might have an answer is a navy veteran who at his own request was put in a so-called haunted room at the Alaskan Hotel.